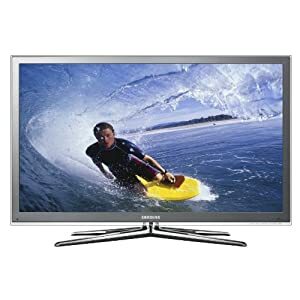 The Samsung UN55C8000 3D TV is a 55 inch 240Hz 3D ready LED display that is part of Samsung’s 8000 Series of LED based LCD HDTVs. This 1080p 3D television has an excellent feature set with great picture quality, an ultra-slim profile and gorgeous looks. The UN55C8000 is currently one of the best 3D TVs available for its price point. I think it is expensive for a TV with 3D technology which is under progress. Its Black level is very light compared to other TVs. OFF-Angle TV viewing is a common problem among all LCD TVs. This lighter black level makes it even more difficult to watch from different angles. Sometimes black becomes blue when watched from different angles.